I got this watch from a very good friend recently. It’s a rather elusive VC Ref 6803 from 1964. Steel case, case size is about 37mm. Inside it is the Cal 454 with indirect central seconds. This seems to be a rather rare reference. I could only find three other examples on the internet, and all of them come with baton hands instead of the dauphine hands shown here. I assure you that the watch is better than the owner. A watch is just a piece of metal without the owner! 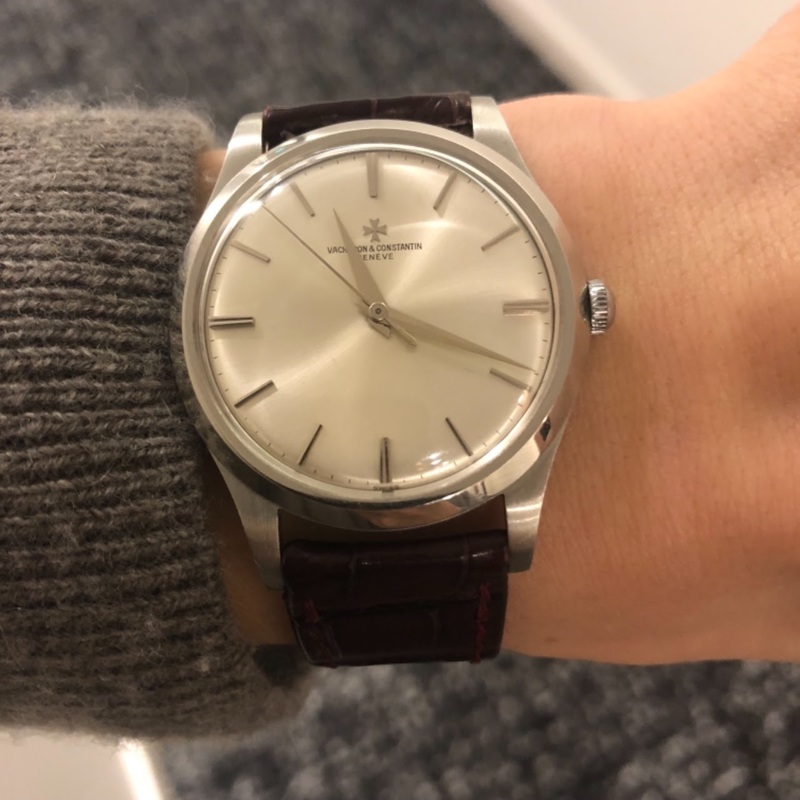 Any Vacheron is a great start to your collection. Quality never goes out of fashion. Keep posting ! I’ve been collecting for a while but this is my first day here on this forum. 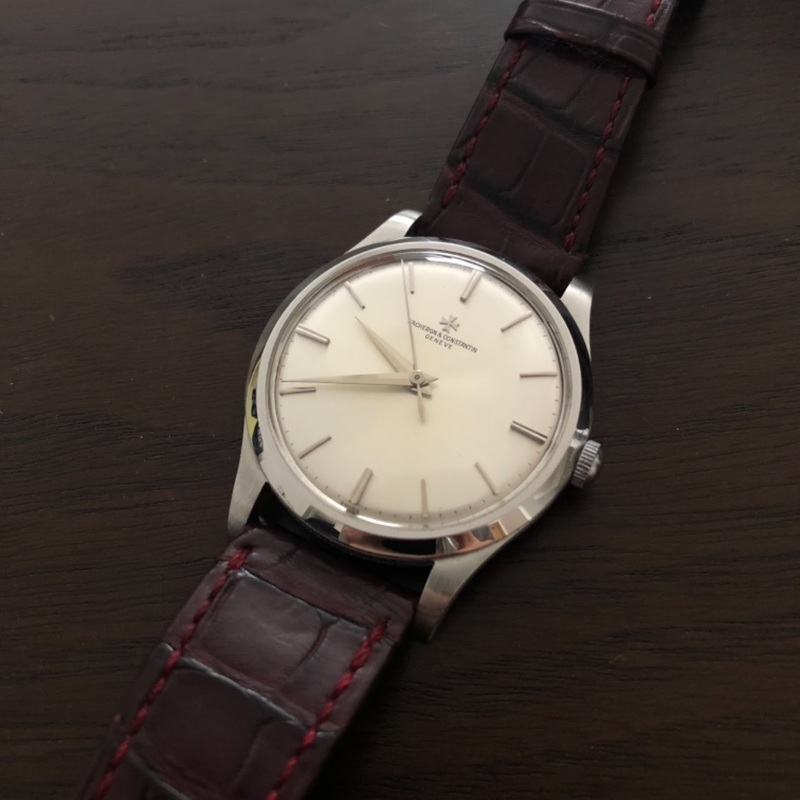 Gorgeous Vacheron in great condition. That is a seriously nice design. I've never seen that before. Thanks for posting. More pictures please! It’s indeed a very pure watch. I think of it as an equivalent of Patek 570, except that it’s bigger and less known. 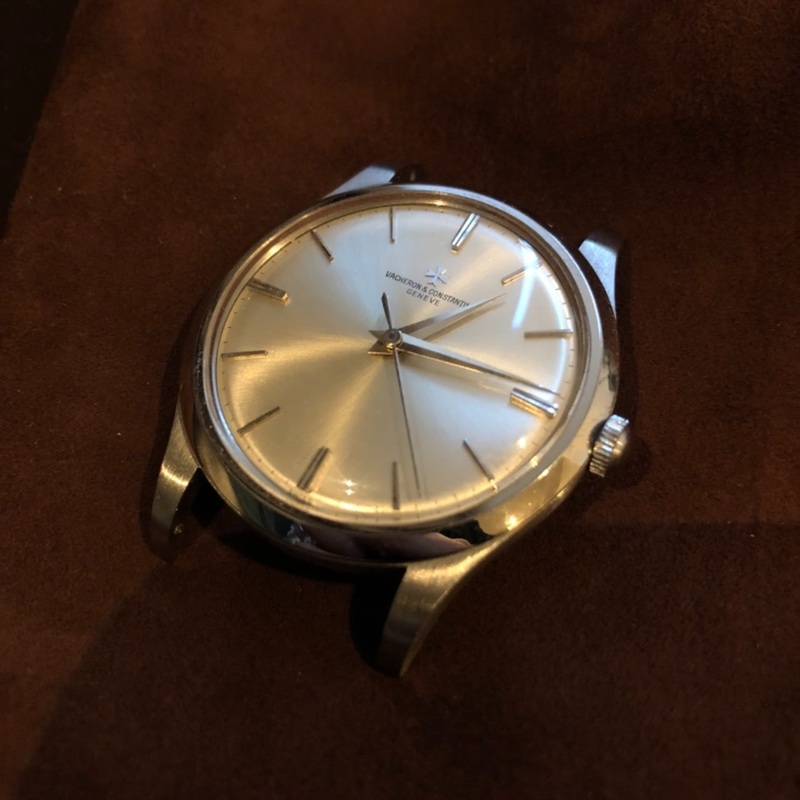 I have a central second 570 in white gold as well. I have no doubt about that! I also find this forum very welcoming so far. I’m in love with it too. The strap is from Camille Fournet. The dauphine hands really do give the watch a different atmosphere.